Ambika Rajgopal of Saffronart discusses Sohan Qadri’s show at Sundaram Tagore Gallery, New York. London: Sundaram Tagore Gallery in New York brings together two distinct, yet corresponding artists, well known for their ingenious use of materials. 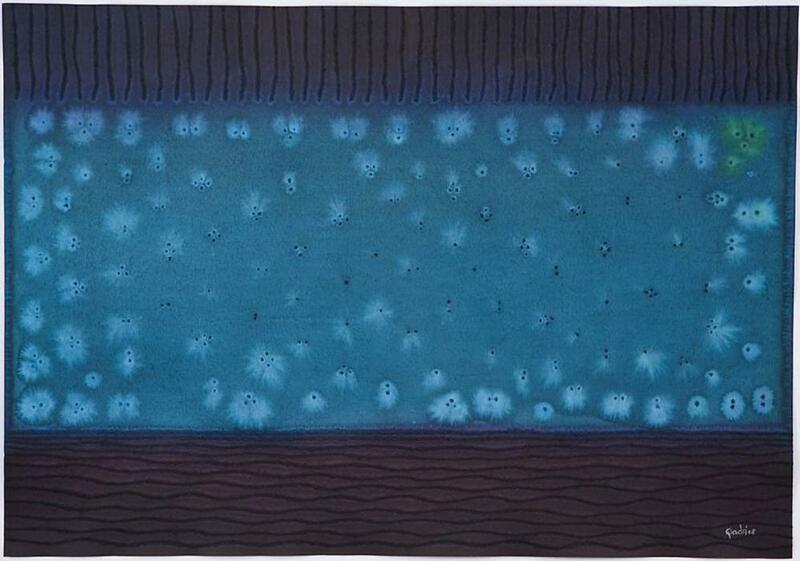 The two artists Sohan Qadri and Nathan Slate Joseph are known to transform the nature of the material they work with. Sohan Qadri first made a mark for himself when he combined art with spirituality. He renounced representational art in favour of abstraction, which for him was a means to attain transcendence. He was deeply influenced by Buddhism and Tantric motifs became a regular feature in his work. Having spent a significant part of life abroad, journeying through East Africa, North America and Europe, Qadri did amalgamate Western Minimalism as a feature of his art. But at the same time, he was patriotically faithful to the rich Indian palette of Sindoori reds, peacock blues and intense oranges. Before starting to paint, Qadri would oversaturate heavy sheets of paper with water. 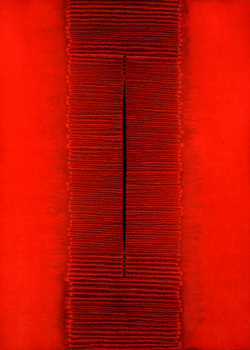 His works are mostly monochromatic surfaces, which he serrated and perforated. The inks and dyes he used gave the paper a sculptural quality and imparted it a third dimension. The works in this show are the last body of work he produced before his death. Nathan Slate Joseph is an integral member of the New York School of Art. 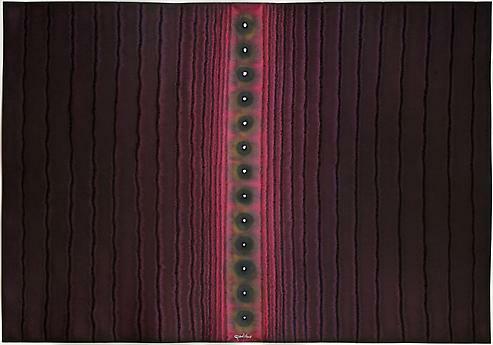 Like Qadri, Joseph also imparts his works with a third dimension, by welding disused steel plates into geometrical patterns. 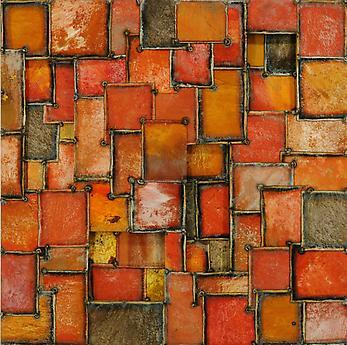 His art practice incorporates the use of disused found objects like steel shards with a vivid color palette. His works refer to questions of globalization, immigration and climate change. The rich saturation of colours offset by the almost spiritual calmness of the works, confirms that this is not a show you would want to miss. The exhibition will be on view from September 5th to October 12th 2013.